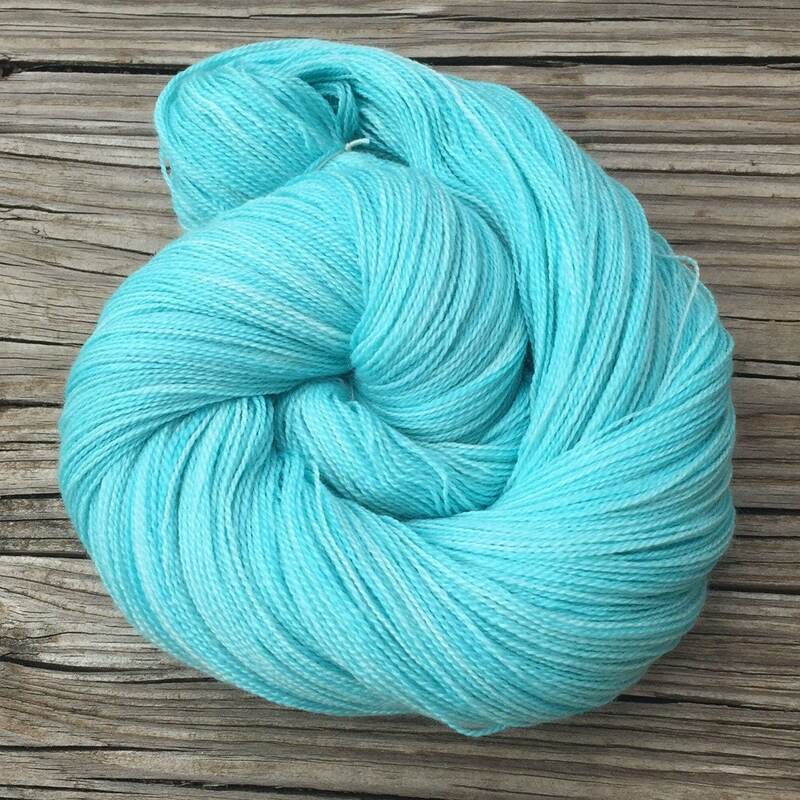 Silk Treasures Lace Yarn - this yarn is READY TO SHIP! 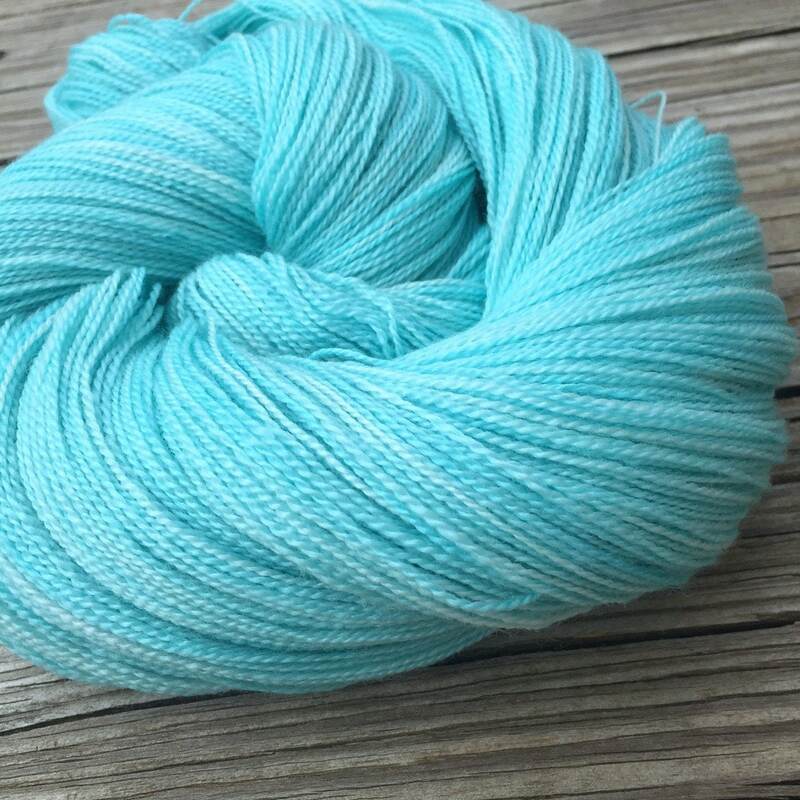 I dyed this yarn with professional dyes in shades of light turquoise teal blue greens. 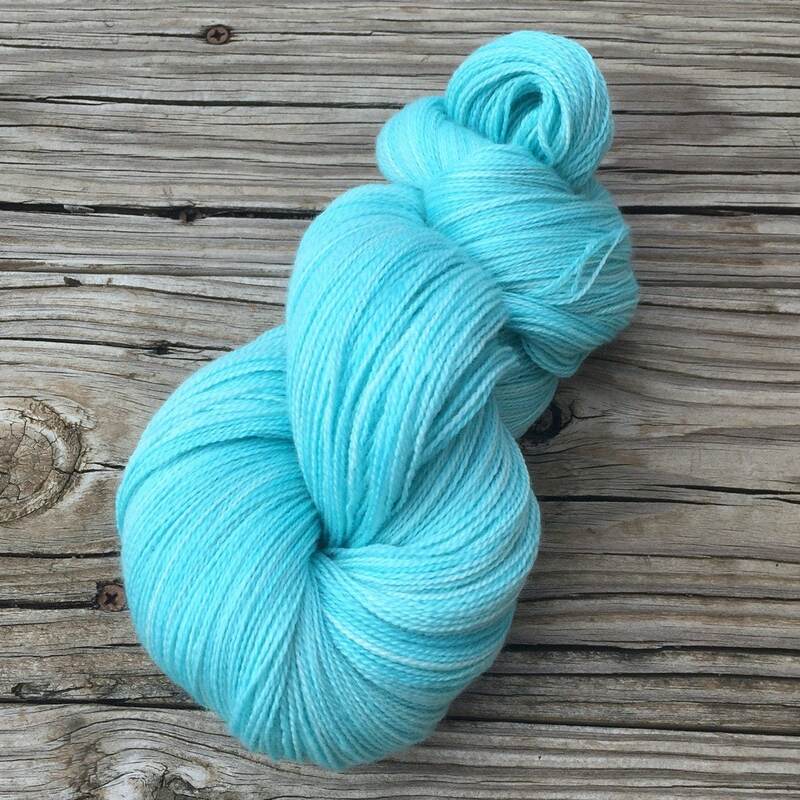 This yarn is as sweet as that first kiss from a Mermaid! 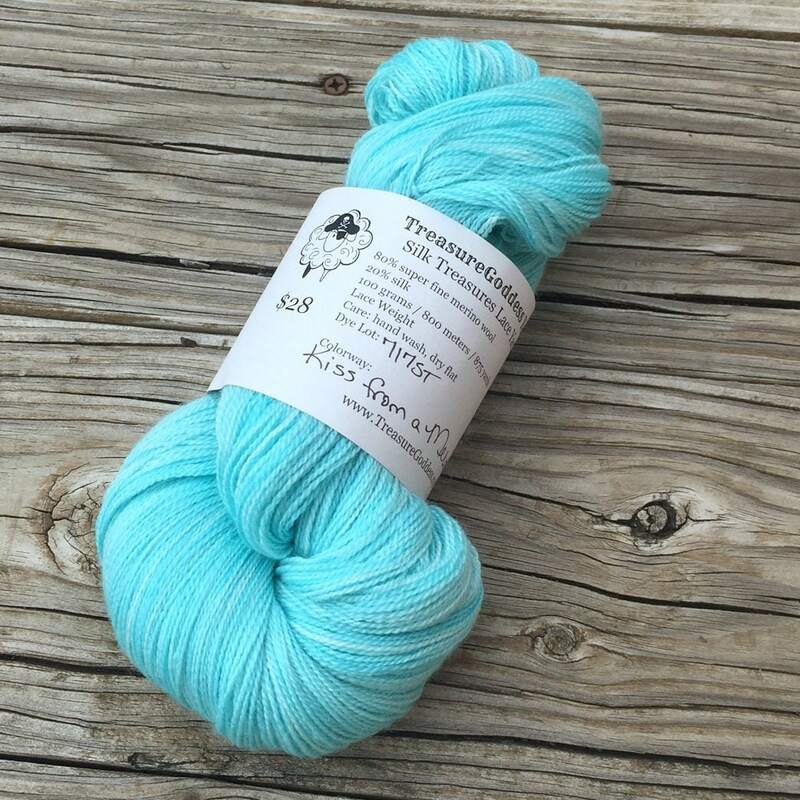 This yarn has some SERIOUS yardage, also, perfect for many, many scarves or a large lace shawl. The yardage is enough for a large lace shawl or wrap. The yarn is lovely to knit with and has good strength too! The silk in this yarn gives a hint of shine and good drape. Combined with the superfine merino wool for bounceback and good hold makes this the ideal lace yarn to knit or crochet with! 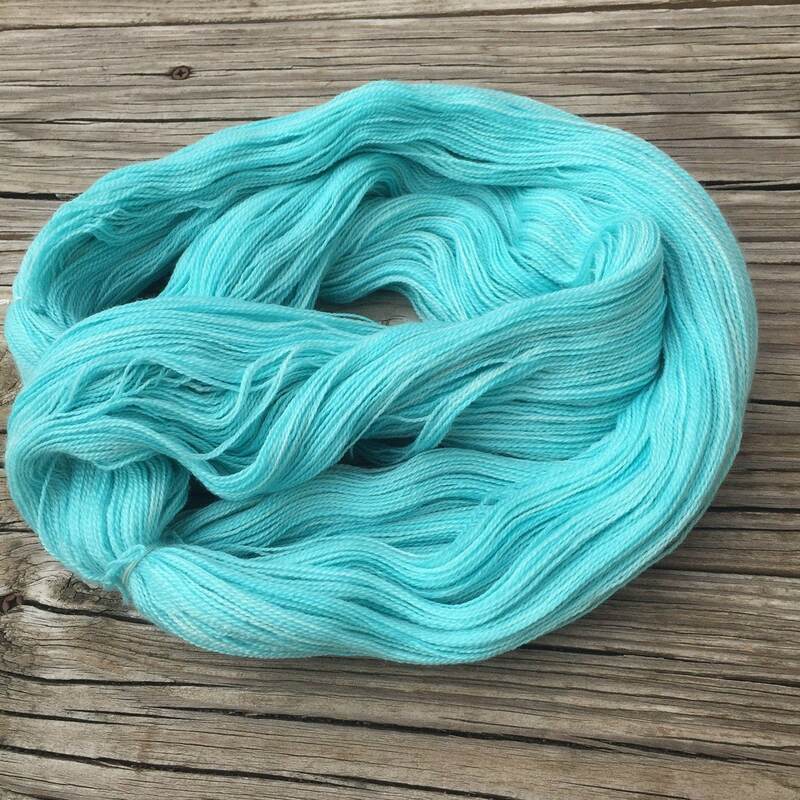 I dyed this yarn with techniques so that your finished projects will look as beautiful as the skein! I hate knitting up projects with hand dyed yarn, putting hours into them, and then not being happy. This yarn looks AMAZING in the skein and all knit (or crocheted or woven) up too! The depth of color allows for this yarn to look amazing in simple stockinette or complicated lace patterns.